January 03, 2018 – Atlanta, GA – Varec, a wholly-owned subsidiary of FORTUNE 500 ® information technology, engineering and science company Leidos, and leading innovator in the petroleum sector for government and commercial entities, ended 2017 with 14 new contract awards as the systems integrator for the Defense Logistics Agency (DLA) Hydrant Equipment Monitoring Interface (HEMI) program. With a total value of approximately $3.1M, the new sites deployed under the contracts in 2017 were located in the United States, Spain, Korea, Italy, Azores (Portugal), the United Kingdom, and Diego Garcia (Indian Ocean). In addition to the integration of the HEMI systems at these new sites, Varec was also awarded sustainment tasking for 70 previously installed systems. The HEMI program falls under the Defense Energy Support Center for the DLA with SPAWAR Systems Center Atlantic as the executing authority. 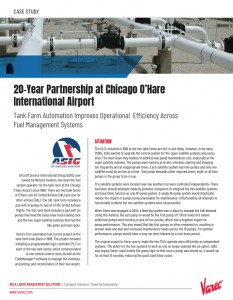 Varec performs the integration of electronic sensors and systems for remote monitoring of hydrant systems in fuels operations control centers at DLA capitalized airfield facilities worldwide. 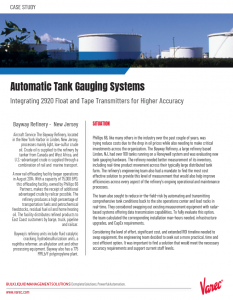 The integration provides a standardized approach to remote monitoring of all process conditions at hydrant pump houses, ensuring rapid response to system malfunctions during times when the pump houses are unmanned. These hydrant systems are also integrated with Varec’s FuelsManager® Defense (FMD) solution, DLA’s global defense fuel logistics and supply operations inventory and accounting system installed in over 600 bases. Since 2013, Varec has successfully integrated 70 HEMI systems into FMD at 36 sites for DLA. In addition to inventory data, leak status data is also sent to FMD from each hydrant system’s pump house. The HEMI program organization includes support for the Air Force Petroleum Agency, Army Petroleum center, NAVSUP Energy, as well as fuel facilities for the Air Force, Army, Navy and Marine Corps. 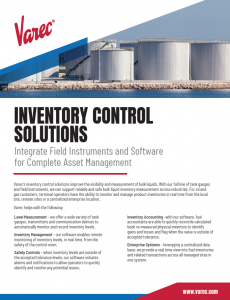 To learn more about Varec’s solutions for defense logistics, please visit www.varec.com or www.FuelsManager.com.